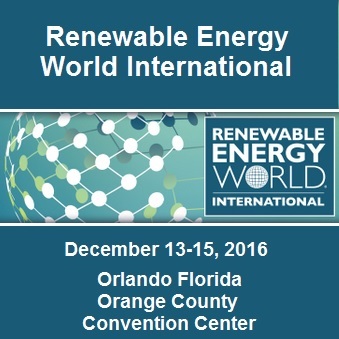 This event will take place on December 13-15, 2016 in Orlando Florida at the Orange County Convention Center (North and South Halls). 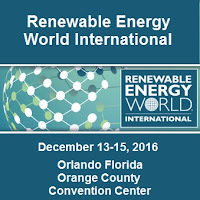 Renewable Energy World International tracks are designed to be made horizontally applicable across all technology sectors. Hear from our track champions on what is being covered during these impactful conference sessions. Make connections with 20,000 other renewable energy professionals from around the globe. Learn from each other during multiple networking events. Explore the newest technology and see products/services in power generation, renewables, and nuclear. Make deals right from the show floor.